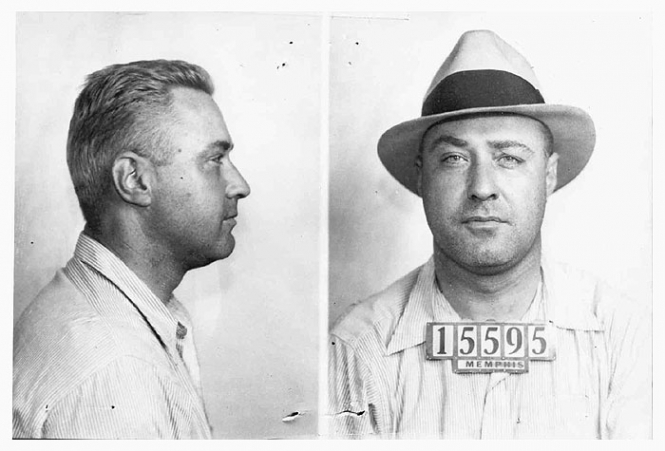 George 'Machine Gun' Kelly, the notorious racketeer who gave FBI agents the nickname G-men, was photographed by Tennessee cops in September 1933 after his arrest for kidnapping a wealthy Oklahoma oil man. Found guilty of that crime, Kelly was sentenced to life in prison, where he died of a heart attack in July 1954. Submitted by justalameperson on Wed, 2011-05-04 13:37. Submitted by clairpie on Tue, 2011-03-15 14:43. Submitted by roydawgg on Mon, 2010-11-15 02:53.
anybody know who he kidnapped?